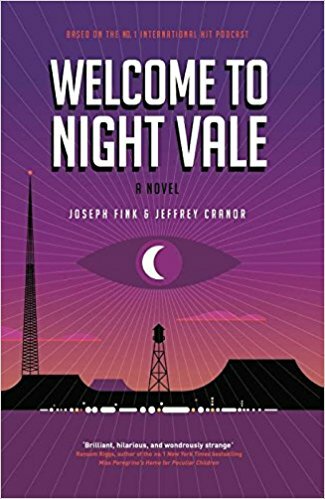 With those words began the cultural phenomenon that is Welcome to Night Vale, the fictional radio show broadcasted from a seemingly dystopian American town in the middle of a vast desert. 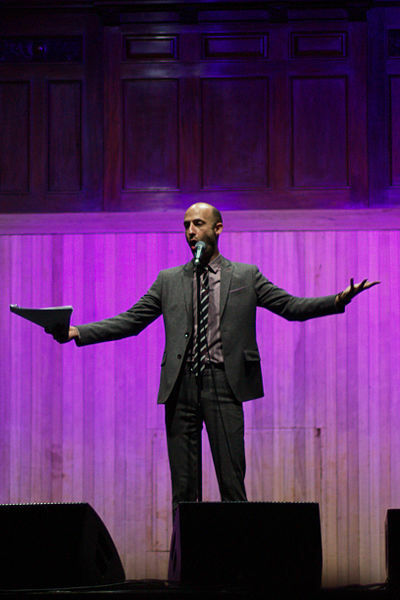 The host is the eccentric and loveable Cecil Palmer, radio announcer and self-proclaimed journalist at Night Vale Community Radio. Over the past five years, Cecil has reported on daily Night Vale events, building a world piece-by-piece. Regularly ocurring eerie, unsettling events are balanced with awkward, random bouts of humor creating a flux between chills and laughter. With each episode, listeners learn a little more about Night Vale’s mysterious idiosyncrasies and diverse townspeople. At some point, many listeners find themselves speaking with Cecil as he as he declares common Night Vale quips and idioms. Some listeners may even find themselves saying these phrases in their daily lives, causing confusion and dismay to non-listeners. In that sense, Night Vale is the epitome of modern day cult hits. Like any real-life radio channel, Night Vale Community Radio gives regular updates on the weather. Unlike any real radio channel, the weather has nothing to do with meteorology. In Welcome to Night Vale, the weather is music. Independent musicians have the opportunity to submit one of their original songs for a chance to be featured during the weather, helping them gain exposure to hundreds of thousands of listeners. For music lovers, this adds to an already enjoyable show. The last five years of Welcome to Night Vale has introduced over a hundred new artists from various genres; the weather has something for everyone. Unfortunately for musicians just learning about this opportunity, the weather section is currently booked a year in advance; no new submissions are being accepted. Catastrophic events, mysterious disappearances, and untimely deaths are commonplace in Night Vale, to the point where they barely register as news. Hooded figures, specters, and demonic entities make occasional appearances, infusing the otherwise comedic episodes with eeriness and discomfort. In one such episode, Cecil discovers the working station of an exceedingly pleasant and optimistic rival is covered in blood, teeth, and animal viscera. In another, Cecil discovers a collection of old cassette tapes from his forgotten youth which reveals a dark and disturbing path to his current occupation as a radio host. 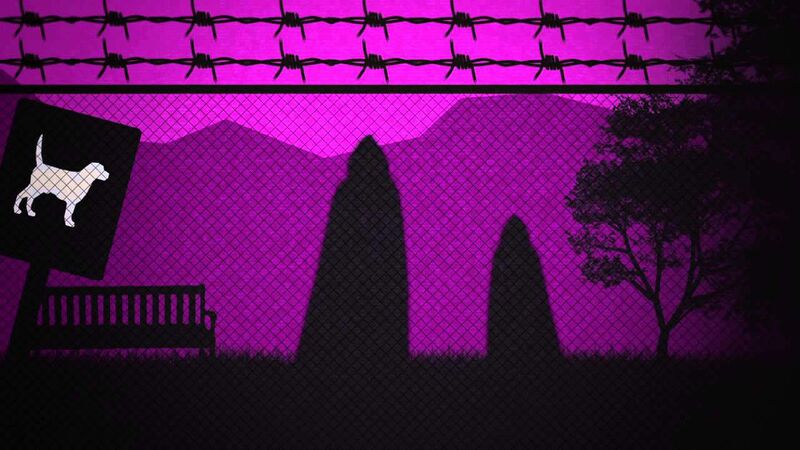 Welcome to Night Vale capitalizes on its greatest strength as a podcast: it has the audio effects of a movie but leaves room for the imagination like a book. The chilling music, creepy stories, and fantastic voice-acting make Night Vale the perfect podcast to listen to alone on a stormy night. The citizens of Night Vale are diverse and eccentric, each with individual nuances and storylines. Over time, listeners are introduced to characters like the Glow Cloud, a sentient God-like cloud that runs the elementary school PTA. Hiram McDaniels is described as “a literal five-headed dragon” with five contrasting personalities. The Erikas are a group of angels that live with Old Woman Josie down by The Car Lot. On a less fantastical scale, the array of human citizens speaks to the Welcome to Night Vale creators’ attempt to have an inclusive and diverse group of characters. As is true with the cast of voice actors, Night Vale’s human inhabitants represent various social classes, disabilities, races, sexual orientations, ethnicities, familial arrangements, and lifestyles. The beauty of this diversity throughout the Welcome to Night Vale series is the complete lack of acknowledgment by the citizens that anyone is different at all. Unique individuals? Yes. Different in any way that may seem strange or wrong? Never. Night Vale allows listeners to enter a world of acceptance and feel a sense of community that is so often lacking in reality. No one questions 15-year-old Josh Crayton’s shapeshifting ability, they only seek to help him accept it. No one bats an eye at preteen Janice, who has spent her life wheelchair bound and unable to walk. In fact, when an outsider suggested a “cure” for Janice, he was abruptly informed that there was nothing to fix and forcefully expelled from the town. Cecil himself is a gay man in a relationship with Carlos, a Latino scientist. Never once is their relationship questioned. As with the varying genres of music in the weather, Welcome to Night Vale has someone with whom everyone can relate. While no one in Night Vale believes in the existence of mountains, they all believe in each other. In 2013, Welcome to Night Vale left the confines of the cloud and expanded onto the stage as a live show. The performance includes unique storylines, various original voice actors on stage, and a live weather report. 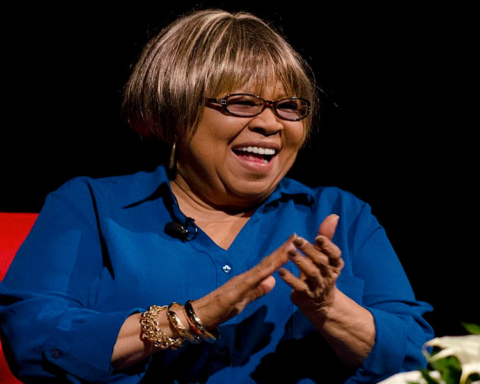 The live show has had tremendous success worldwide. 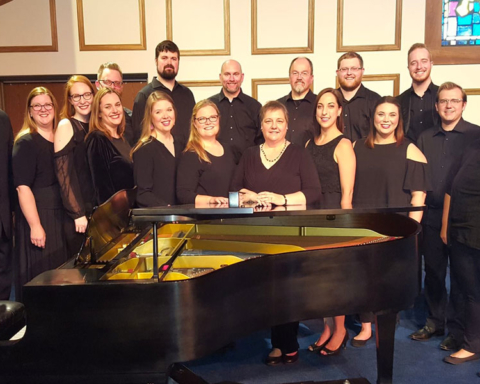 The success of the live performances gave creators Jeffrey Cranor and Joseph Fink the confidence they needed to expand their repertoire further. 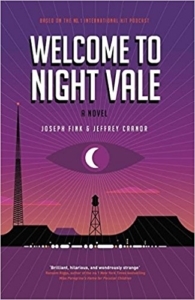 In 2015 their first full-length novel Welcome to Night Vale hit the shelves, becoming one of The Washington Post’s top science fiction and fantasy picks for October 2015 and hitting the New York Times bestseller list. While some critics berated Cranor and Fink’s choice to follow the sometimes rambling format of the podcast in written form, the success led to the subsequent release of two compendiums of episode scripts, Mostly Void, Partially Stars and The Great Glowing Coils of the Universe. 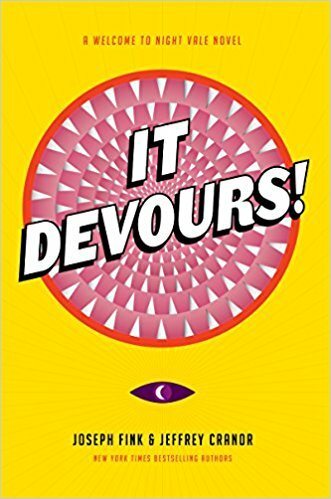 Cranor and Fink’s second novel, It Devours, leads the citizens of Night Vale on a new terrifying adventure. 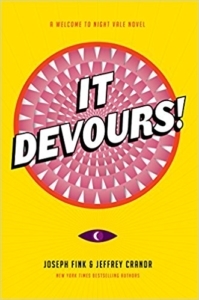 It Devours is scheduled for release in October 2017. As if they weren’t busy enough, Cranor and Fink created the Night Vale Presents network, under which they’ve released three additional serial podcasts. Alice Isn’t Dead offers a series of audio journals from a truck driver as she searches America for her presumably long-dead wife, Alice. The Orbiting Human Circus (of the air) takes listeners back in time to a grand ballroom atop the Eiffel Tower, where a clumsy janitor dreams of being on stage. 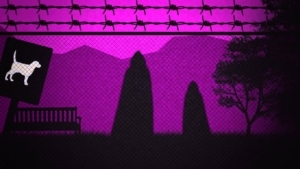 Within the Wires presents as a series of relaxation tapes filled with subliminal clues about the government institution in which the listener is purportedly trapped. From its humble beginnings, Welcome to Night Vale has spawned a plethora of artistic endeavors. So far, Cranor and Fink have managed to maintain control of Night Vale’s content and operations. 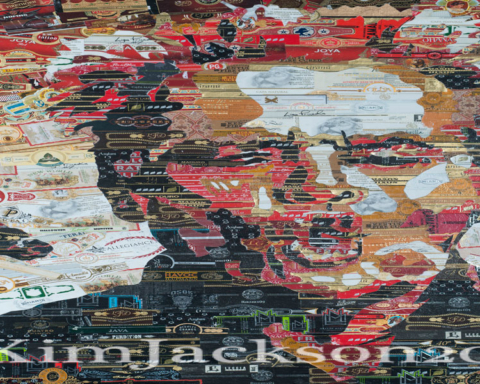 Quality has not been compromised for profit, making it truly art for art’s sake.